The Without Walls’ Board brings together those with sector knowledge and skills alongside new perspectives and insights. Drawn from our existing networks and through an open call, in October 2018 eight new Directors joined the existing Board of two directors and Josephine Burns, Executive Chair of Without Walls to carry the consortium forward during this exciting and dynamic time of change. 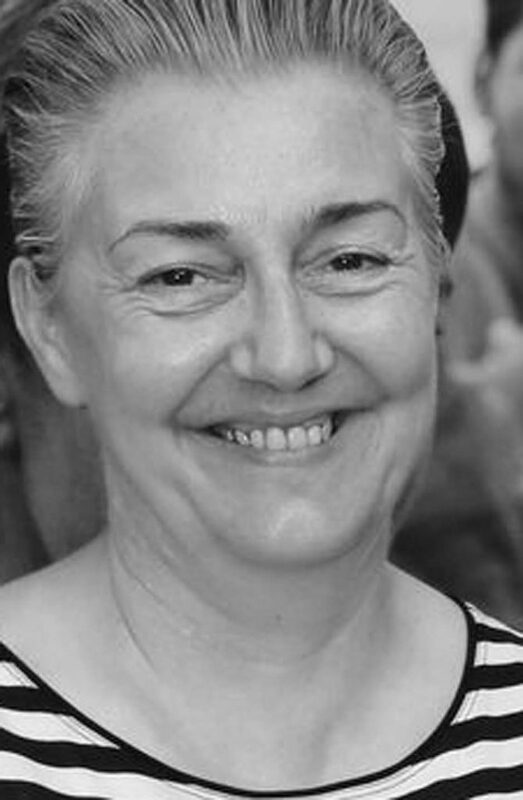 Josephine Burns has been the Executive Chair of Without Walls since 2012. Working closely with XTRAX, she was appointed by and is accountable to the directors of the company. 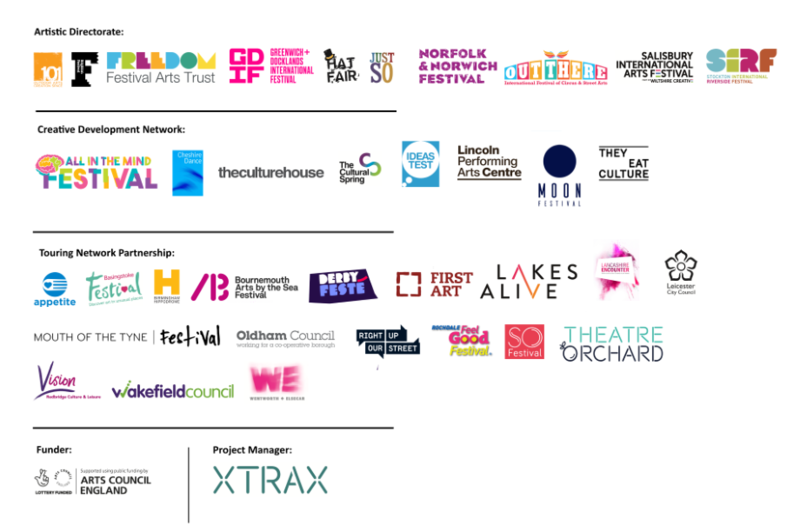 Over this time, Without Walls has grown significantly in reputation and in activity and in 2018 becomes one of the Arts Council’s National Portfolio Organisations. Josephine has over 40 years’ experience in the arts, culture and the creative economy. 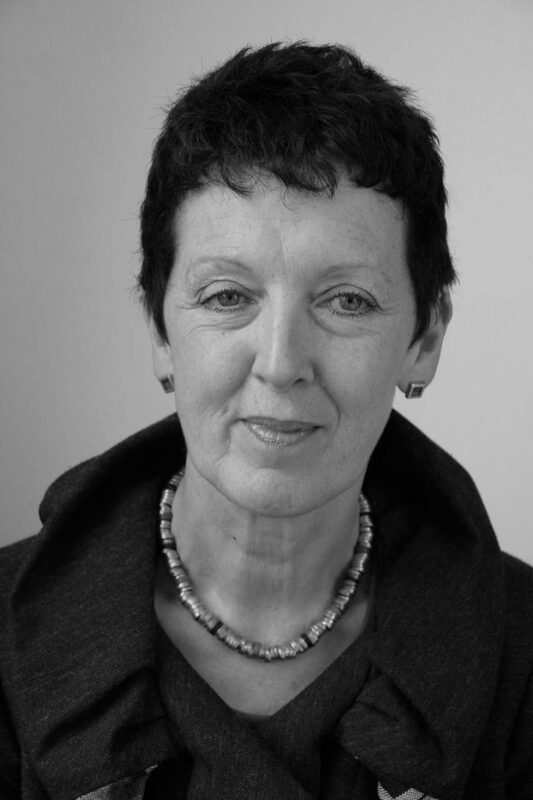 After leaving the Arts Council in 1991, she established BOP Consulting (www.BOP.co.uk) in 1997 with Paul Owens. At BOP, Jo led on a wide range of projects including the Edinburgh Festivals Impact report and work with companies such as Glasgow Citizens Theatre, LIFT, Streetwise Opera and the review of the talent development programme funded by the Esmee Fairbairn Foundation. 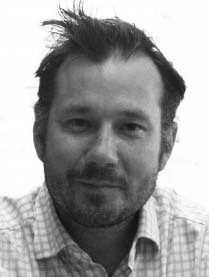 Andrew Comben, Chief Executive of Brighton Dome & Brighton Festival, has been a Director of Without Walls Board since 2010. Andrew began his UK career at Wigmore Hall in 1994, moving to artist manager for the Young Concert Artists Trust and Music International. He then became Director of the Britten-Pears Young Artist Programme, returning to Wigmore Hall as Head of Artistic Planning in 2003. Andrew joined Brighton Dome & Brighton Festival as Chief Executive in 2008, establishing the Guest Director model for Brighton Festival (with artists such as Anish Kapoor, Laurie Anderson, Kate Tempest and David Shrigley) and developing a new vision for the organisation as a year-round centre of artistic activity. The Brighton Dome Corn Exchange and Studio Theatre are currently undergoing a £21m major redevelopment and due to re-open in early 2019. Joe Mackintosh is Chief Executive for SeaChange Arts and Artistic Director of the Out Theatre International Festival of Circus and Street Arts. He has been a Director of Without Walls Board since 2016. Joe Mackintosh has been the director of SeaChange Arts, for 14 years. 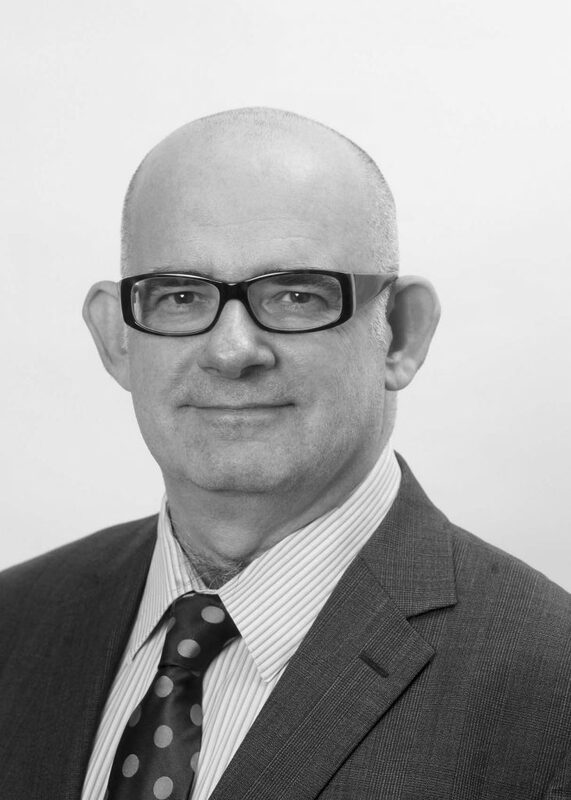 Joe took over the organisation at an embryonic stage and has developed a highly skilled team, clear mission and strong track record for working across partnerships at a national and international level, presenting work of exceptional quality and significance while remaining true to the purpose of local transformation. Now an Arts Council England National Portfolio Organisation, SeaChange is recognised as one of the UK’s most dynamic organisations in the fields of Outdoor Arts, Contemporary Circus and European Collaboration. The organisation functions as a gateway to/from Europe and supporting creation through its centre at the Drill House (which underwent a £1.5m capital transformation in 2016). Dr Jane Ali-Knight is Professor in Festival and Event Management at Edinburgh Napier University, Scotland and Visiting Professor at Curtin University, Australia. She is leading and developing the festival and event subject area, lecturing at Universities internationally and facilitating professional training and development. Her core activities fall into three areas: event and festival-related programmes; research and publications and conferences and professional events. 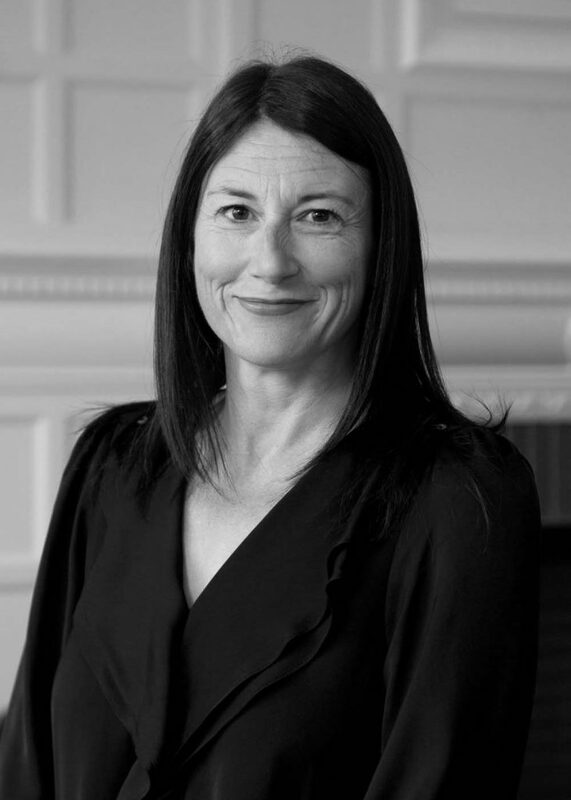 She is a board Director of BAFA (British Arts and Festivals Association) a Fellow of the Higher Education Academy and Royal Society of the Arts and is also an experienced practitioner working on and delivering festivals and events, both in the UK and overseas. Angie Bual is a producer and artistic director of Trigger, an independent producing house and has produced for organisations including Fuel, National Theatre of Scotland, Edinburgh Art Festival and the Science Museum. She is the winner of the Creative Producer Arts Foundation Award. She has initiated and run several cross artform and sector projects. She is Interim Chair for Mayk in Bristol, and is a Director of the London Area Council of Arts Council England. 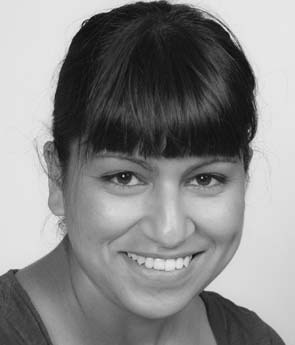 Angie is a Clore Fellow (Theatre) and is resident at the PM Studio in Bristol. Mark Denbigh is Head of Production & Programme for Norfolk & Norwich Festival – the East of England’s flagship annual arts festival. Each year the festival commissions and produces new work across a spectrum of artists and practices, as well as presenting the best in theatre, performance, dance, classical and contemporary music, circus, cabaret, literature and outdoor work for an audience of 80,000 people. NNF is also a member of IN SITU, a Creative Europe funded network for the creation and promotion of art in public space. Mark is on the IN SITU Steering Committee and is also working with FAI-AR who are creating a MOOC on art in public space, which is due to go live in the first quarter of 2019. Mark has worked for more than 10 years in festival production for organisations including BBC, Royal Opera House, Wildworks, SeaChange Arts and LeftCoast. Richard Holt is Head of Global Cities Research for Oxford Economics, an international economic consultancy, and is a specialist in understanding what makes some places more successful than others, and how policy can help to improve people’s lives and opportunities. He has a particular interest in the creative and cultural sectors, and in local economic development generally. He has helped various city and borough councils in the UK to develop strategies and advises the real estate sector in particular on the prospects for cities across the world. Formerly, Richard has worked as an economist for a range of organisations, including in London and New York. For several years he was a non-executive director of creative industries specialists BOP Consulting, as well as a Visiting Research Fellow for the UK Commission on Employment and Skills. Jan Lennox is Director of Watermans, a mid-scale arts centre in London renowned for its performance, film and visual arts programmes and internationally recognised for support of ground-breaking digital and new media arts. Jan initiated an outdoor arts programme in Hounslow in 2009 and launched the permanent outdoor arts space, Bell Square, in 2014 in which Watermans presents high quality UK and international work between May and December annually. Bell Square is a partner in Without Walls and Global Streets and leads the consortium of venues promoting outdoor arts in Outer London. In summer 2018, Jan launched an outdoor arts programme in Hayes which will run annually. Watermans also supports the development of new work through its residency programme for artists. Since 2014, Jan has led the consortium delivering the Creative People and Place programme in Hounslow, which includes outdoor arts and circus. Jan has held chief executive and senior management roles at The Almeida, Arts Council England, Pittsburgh Symphony, Green Room and a major regeneration programme in Manchester. She also has an MBA from Manchester Business School. Anthony Missen, Clore Fellow, member of the Greater Manchester Culture Steering Group, founding Director of New Movement Collective and co-founder of Company Chameleon. He received formal training at the Northern School of Contemporary Dance and went onto dance with companies including Scottish Dance Theatre, Mad Dogs Dance Theatre, Cie. Willi Dorner (Vienna), and choreographers including Rui Horta, Didi Veldman and Liv Lorent. Anthony has taught in most major British contemporary dance institutions, to several professional dance companies and in many countries including South Africa, Ethiopia, Israel, Trinidad, Morocco, Sweden, Spain, France, Italy, Germany and Austria. He has led many Choreographic and skills-based Residencies. Anthony is a founding Director of New Movement Collective. He co-founded Company Chameleon in 2007, producing and choreographing critically acclaimed performance works both for the stage and outdoor contexts. 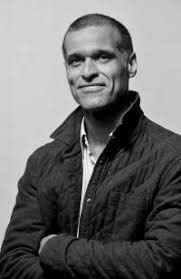 He has developed many successful educational programmes in different countries, with a particular focus on young men, disadvantaged children and children at risk. Anthony has made touring works for La Mov (Spain), Norrdans (Sweden) and most recently Ballett-Theater Chemnitz (Germany). Stephen Munn is CEO & Artistic Director of Déda & Derby Festé, joining in September 2006. Based in Derby, Déda is a Creative Centre for Dance, Contemporary Circus and Outdoor Performance connecting locally, nationally and internationally. Formerly he was Director of Quay Arts, a Visual Arts organisation on the Isle of Wight. Previously he was Head of Theatre Programme at Trinity Laban and part of the Client Team delivering the award-winning Creekside building project. He was a Director of the Technical Connection, a private company set up to facilitate the production needs of the independent arts sector. Clients included Michael Clark Company, Adventures in Motion Pictures, V-tol Dance Company, Jonathan Burrows Group, Shobanah Jeyasingh Dance Company and Greenwich Festival. Stephen has an MA in Arts Management & Strategy from London City University and is currently a Trustee of Derby Book Festival. He is the co-founder and Artistic Lead of Derby Festé, one of the UK’s leading international street arts festivals. Gemma Thomas is the Creative Producer for Appetite and Special Projects Producer at the New Vic Theatre in Staffordshire. Appetite is Stoke-on-Trent’s Creative People and Places programme funded by Arts Council England, and Gemma has been the programme’s Creative Producer since 2012. As Special Projects Producer for the New Vic, Gemma developed and is currently delivering an Ambition for Excellence-funded project, Circus Past, Present and Future, a celebration of Philip Astley in his Newcastle-under-Lyme birthplace, with many partners locally, nationally and internationally. Gemma has worked on multi-artform projects for over 10 years in non-traditional arts venues including parks, shops, town centre streets, disused factories, train stations, canals and many more. Other organisations she has worked with include DanceXchange, International Dance Festival Birmingham, Royal Shakespeare Company, Audiences Central and Fierce Festival.